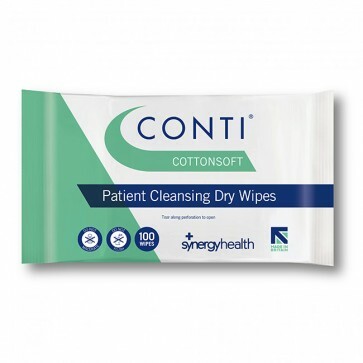 Conti Cotton Soft wipes are highly absorbent, cotton enriched heavy duty wipes. Conti Cotton Soft is a cotton-enriched material providing strength and softness. The combination of the soft material and extra bulk in the wipes means they are gentle yet highly effective in cleansing heavily soiled skin and the removal of faeces. The wipes are ideal for cleansing heavily soiled skin and are gentle for incontinence care.